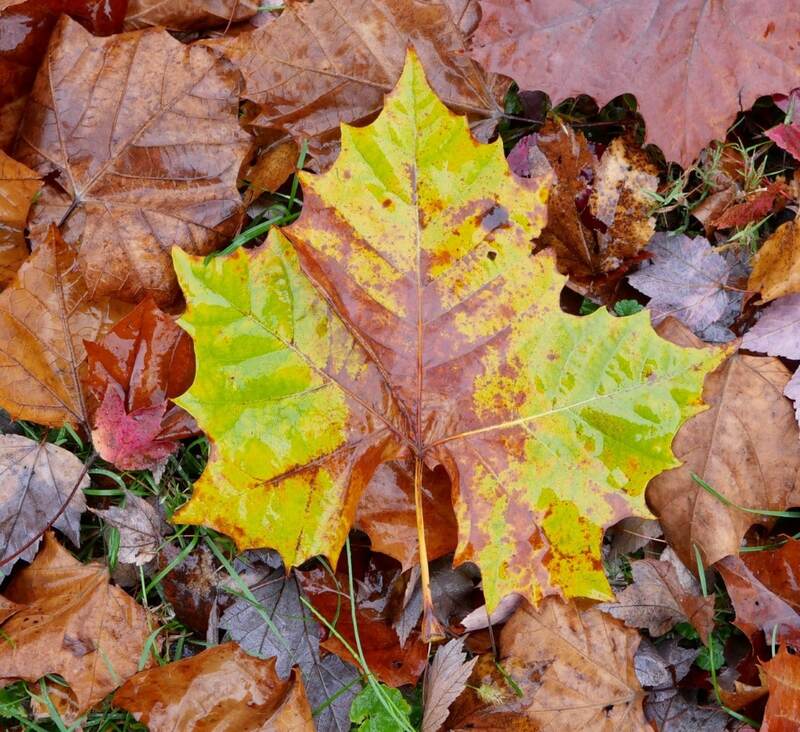 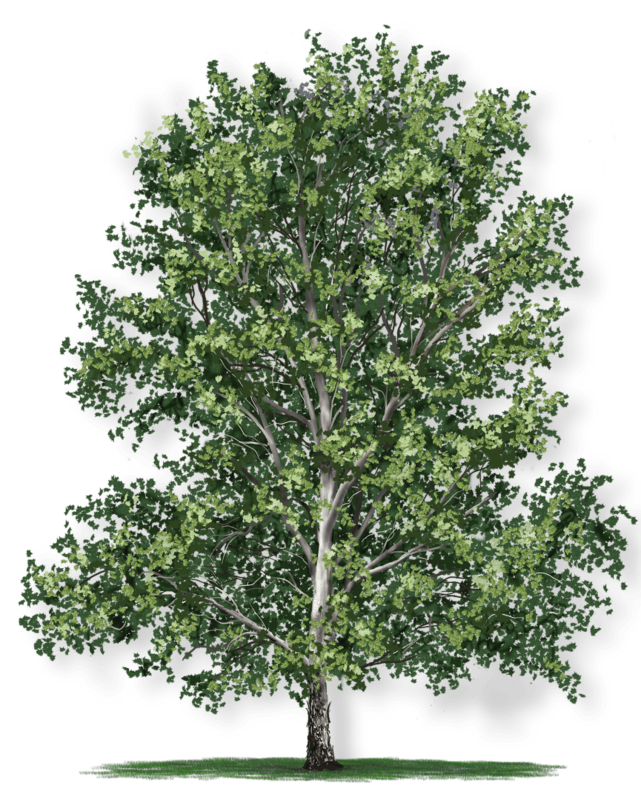 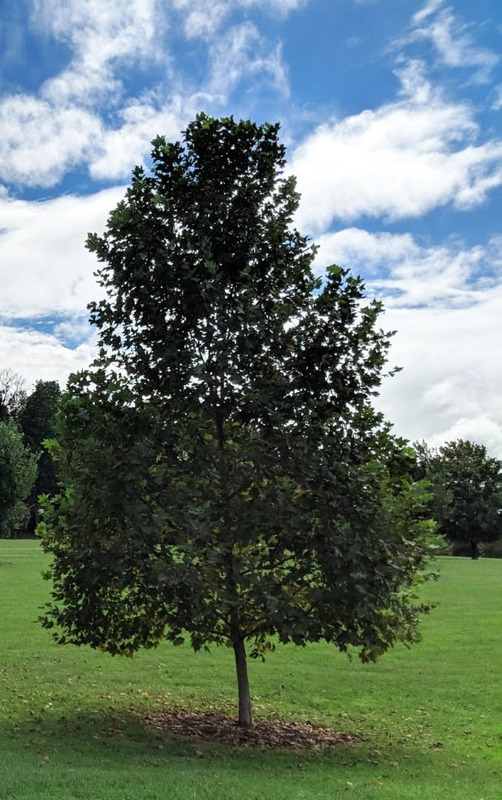 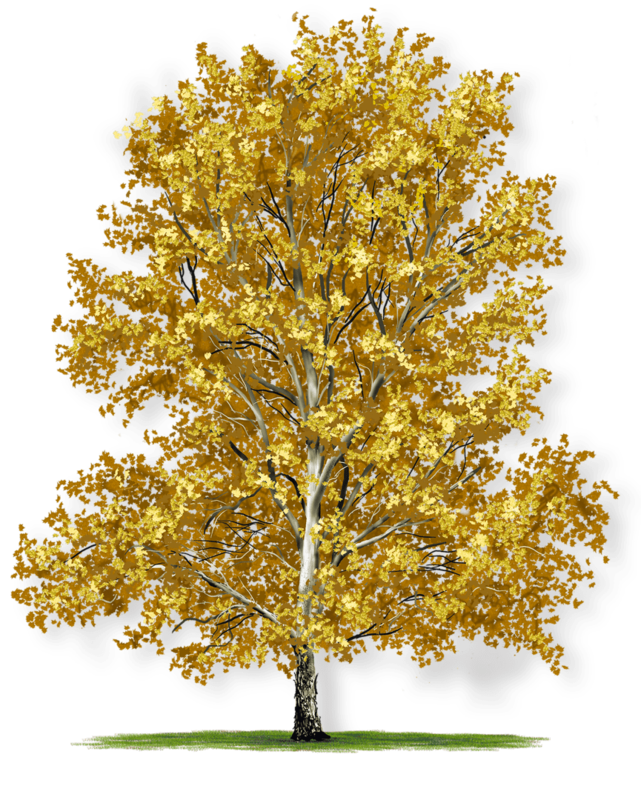 The American sycamore is one of the largest trees native to Maryland. 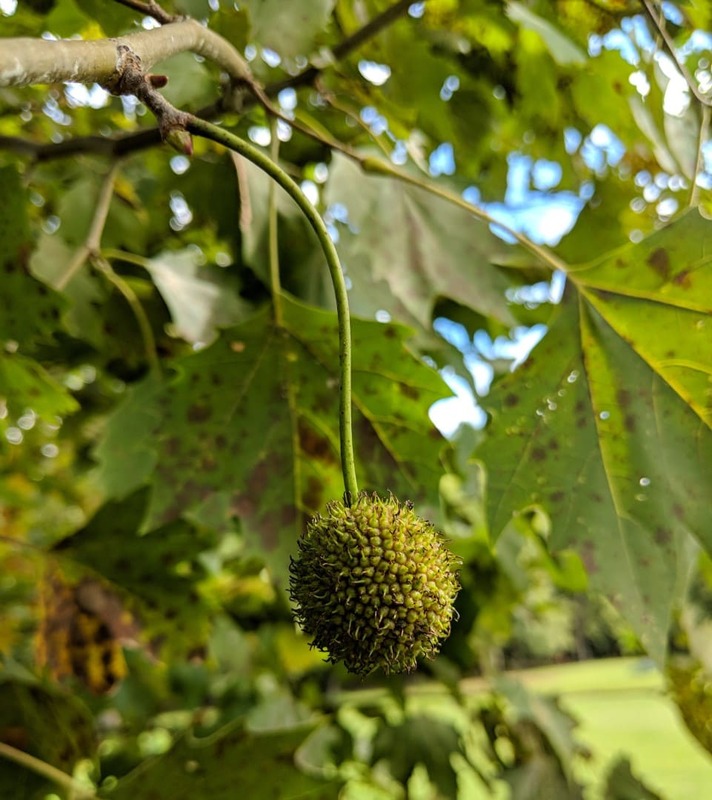 It has broad leaves, unique seed balls, and distinctive bark. 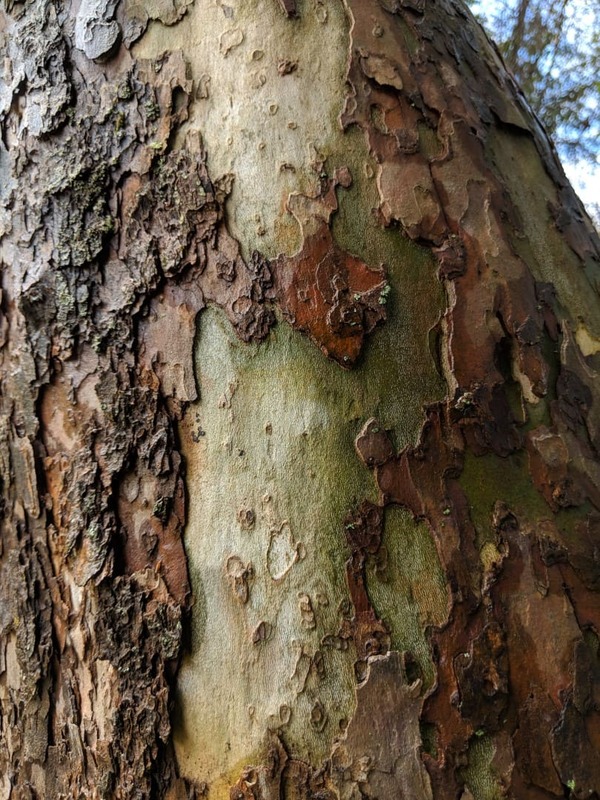 The bark has patches of tan and gray that peel to expose clean smooth bark mottled with whites, creams, and jades. 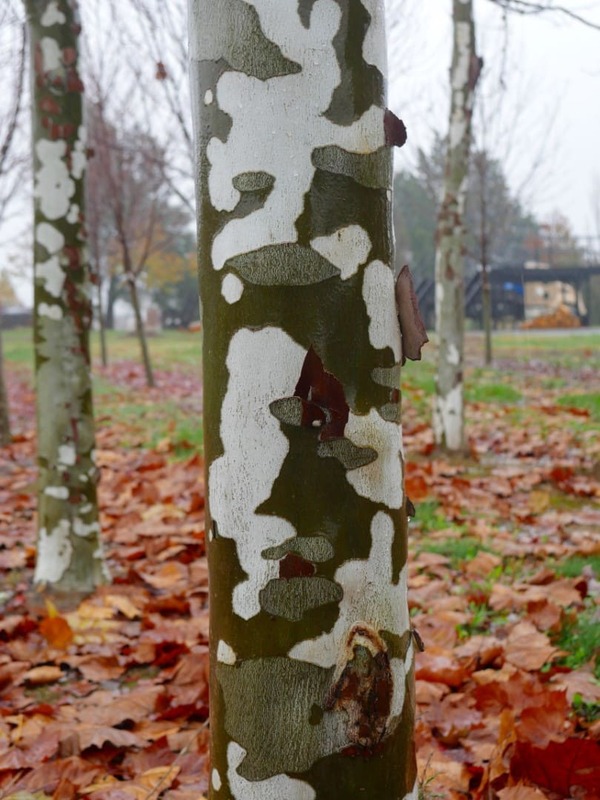 Like the London planetree, its colorful bark makes the America sycamore stand out any time of year.